Reginald “Reggie” Thomas has accepted the position as coordinator of the internationally recognized Northern Illinois University School of Music‘s internationally renowned Jazz Studies program. Thomas succeeds the esteemed jazz educator Ronald Carter, who is retiring after 20 years at NIU. 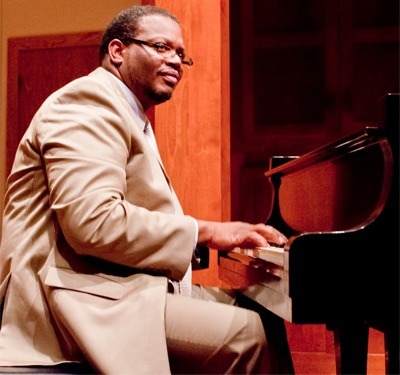 Thomas comes to NIU from the Michigan State University College of Music, where he has served as professor of jazz piano. Prior to his position at MSU, he was professor of jazz studies at Southern Illinois University-Edwardsville and was SIUE’s director of Black Studies. He earned his master’s degree in music education from SIUE and a bachelor’s in music education from Western Illinois University. He has performed internationally in Canada, Italy, Poland, Senegal and England, and his recordings include work with Clay Jenkins, Kim Richmond, Clark Terry and Mike Vax, as well as recordings as a leader and with his jazz vocalist wife, Mardra. Thomas is co-author with Wynton Marsalis and others on the important jazz teachers’ resource, “Teaching Music through Performance in Jazz” (GIA Publications). 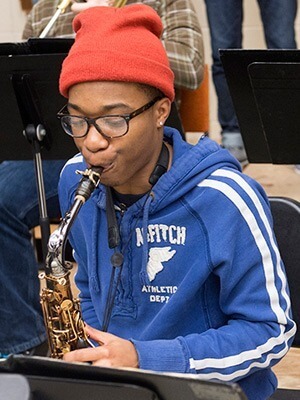 He is also a consultant/clinician for Jazz at Lincoln Center for the past decade, working with the Essentially Ellington program and the Band Director Academy. Most recently, he presented “Creating Music Through Improvisation” at the Carnegie Hall Music Educator’s Workshop (NY). He remains an active clinician/adjudicator at colleges throughout the country and at conventions of the International Association for Jazz Educators (IAJE) and its successor, the Jazz Education Network (JEN). NIU’s “search committee did a terrific job evaluating a competitive pool of candidates,” said Paul Bauer, director of the School of Music. Janet Hathaway, assistant director of the School of Music and chair of the search committee comprised of jazz faculty, said observed that Thomas’ strong artistic vision was evident in his interaction with NIU students during the interview. Meanwhile, she said, his approach to developing students as “scholar-performers” was aptly demonstrated, effectively engaging students in the classroom and rehearsal room.